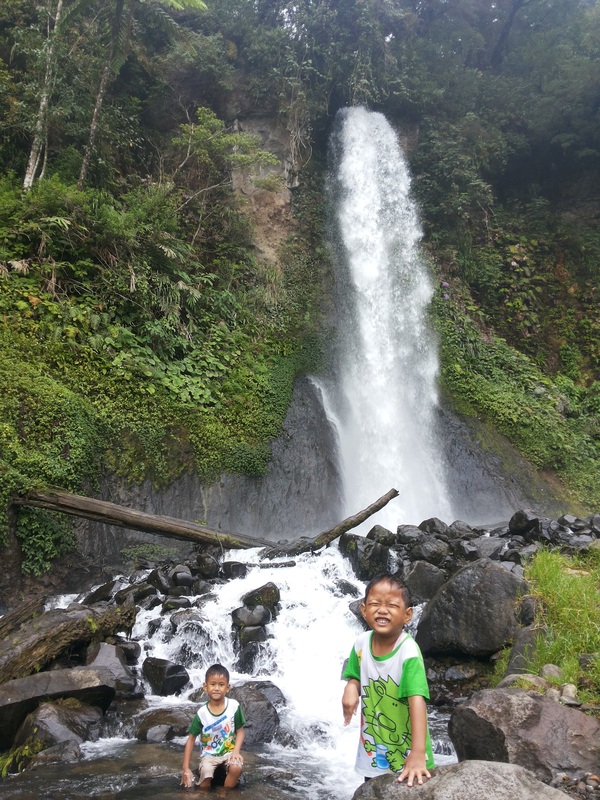 This photo was taken last July 2013, when I took the boys to a waterfal inside Gede Pangrango National Park, in Bogor. To reach this waterfals we should walk on foot as far as three kilometers, through the climbing track of Gede mountain. My youngest son was complaining when we were on the way. He was exhausted because the road continues to climb. But behold, when we got the waterfal, he was so happy and straight into the river even the water was very cold. I was instantly shivering when I tried to touch the water. But they was enjoyed it so much. In fact, many times I caught the expression of joy, despite they were feeling cold, like in the photo above. Yes it was a joy for them, but for me…their smile will always my joy. Come and join us to a photo a week challenge by clicking this link. Beautiful location, andour boys are darling!